Pictured above: Rory McIlroy during a practice round at the Frys.com Open. 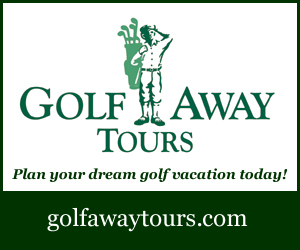 Although the 2015 PGA Tour season concluded just days ago with golden boy Jordan Spieth’s victory at the Tour Championship, the wrap-around schedule means that the 2016 season is already here. It begins this week at the Frys.com Open in Napa, California. So, pour yourself a glass of wine and let’s take a look at the tournament that will kick off the season and some of the names and storylines that are likely to emerge in the coming weeks. With the exception of the WGC-HSBC Champions event in Shanghai and the Hero World Challenge, there will be few top-ranked players competing in any events prior to the Hawaii/West Coast swing in January. In the interim, many of the circuit’s younger players and rookies will have an opportunity to wet their beaks and get accustomed to life in the big leagues. Last year, we met PGA Tour Rookie of the Year Daniel Berger during the fall wrap-around schedule. At that time, we were also introduced to future tour fixtures Tony Finau, Justin Thomas, Patrick Rodgers, Nick Taylor and Adam Hadwin. Although it will just be the very beginning of the season, playing well over the next two months will be paramount for any novice players who are hoping to gain some job security for the future. Such was the case for Abbotsford, B.C.’s Nick Taylor, who won the Sanderson Farms Championship in Mississippi last November. The victory instantly made Taylor a household name in Canada. But more importantly, it also locked up both a two-year status exemption on the circuit and a lifetime PGA Tour membership for the 27-year-old. Moreover, the win also led to his candidacy for the 2015 PGA Tour Rookie of the Year Award, which he narrowly lost to Berger. Taylor will reportedly be present in Jackson in a few weeks to defend his title and will need to stave off a mix of crafty veterans and young prospects that are all hungry for PGA Tour longevity. Patton Kizzire will not be making his debut at the Frys.com Open this week — as he is getting married — but the overall 2015 Web.com money leader is chomping at the bit to begin his first season of fully exempt PGA Tour life. The 29-year-old won twice on the Web.com circuit last year and recorded 12 top-10 finishes in 23 starts. Prior to the season, Kizzire had stated that he wanted to be the 2015 money leader on the Web.com Tour and the Auburn alum pulled it off! That is the type of dogged determination that separates the good golfers from the great ones! Also, expect to see Emiliano Grillo on the leaderboards consistently over the next few weeks. The 23-year-old PGA Tour rookie has been playing exceptional golf on the European Tour since 2012, but his most promising moments as a pro came this year in his four starts on the Web.com Tour. Grillo finished inside the top-10 in three of those four events, including a victory at the Web.com Tour Championship. The Argentine has also demonstrated brief flashes of brilliance on the PGA Tour. In five starts last year alone, Grillo finished runner-up at the Puerto Rico Open, T10 at the Barbasol Championship, tied for 22nd at the RBC Canadian Open and T61 at the PGA Championship. Wow! Unlike Kizzire, Grillo will be in attendance at the Silverado Resort Golf Club for the Frys.com Open this week. The land was once the estate of a prominent Civil War general. When the land was sold, Robert Trent Jones swooped in and reshaped it into the tremendous track that stands there today. 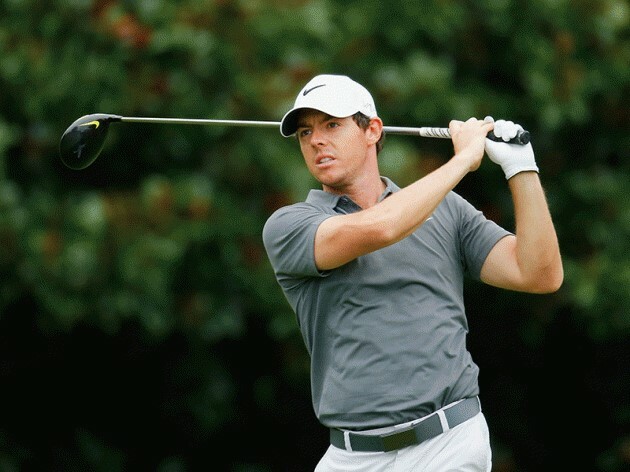 Surprisingly, Rory McIlroy will be headlining the field at the season debut this week. Three years ago, McIlroy struck a deal with the PGA Tour that allowed him to skip the Frys.com Open in order to play in a conflicting tournament in Turkey. Well, the PGA Tour is now calling in its debts and the Northern Irishman will be present in wine country this week. Justin Rose, too, is expected to be in the field this week. The Englishman slid under the radar last season with only one win at the Zurich classic. However, the 2013 US Open winner finished the season with eight top-10s in his final 14 starts, including a tie for second at the Tour Championship at East Lake. There will also be four Presidents Cup players in attendance at the Frys.com Open this week. Charl Schwatzel, Hideki Matsuyama, Chris Kirk and Steven Bowditch have all made the long flight from Incheon, South Korea. None of these golfers had exceptionally strong weeks and are all probably looking to rebound in California. Canadians tuning in can look forward to seeing Victoria’s Cory Renfrew, who cruised to a four-shot victory in the Monday qualifier with a 7-under 63 at the notoriously difficult Bayonet Golf Club near Monterey. Although the 29-year-old has only played in one other PGA Tour event in his career, Renfrew is playing some very sharp golf and could be a fun dark horse to root for this weekend. Graham DeLaet, David Hearn, Adam Hadwin and Nick Taylor are also in the field. Unfortunately, last year’s champion Sang-Moon Bae will not be participating this week or in any tournament over the next two years. Bae is serving a mandatory two-year military conscription that South Korea requires of all its male citizens. Dave Kaplan is a Toronto-based freelance writer and golf fanatic who is sneaky long off the tee. He’s on a crusade to inject a youthful perspective into golf media, especially the broadcast booth.